Valentine's Layout ft. Loves Me - Pebbles, Inc. 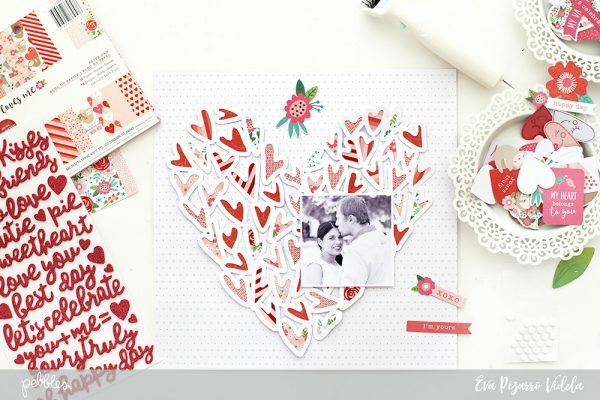 This line has gorgeous patterned papers and I used a die cut file to showcase a few of them. I love to use my 6×6 paper pad for small projects like this because the patterns are to scale and also because I don’t like to leave an entire 12×12 paper with just a small piece cut off! 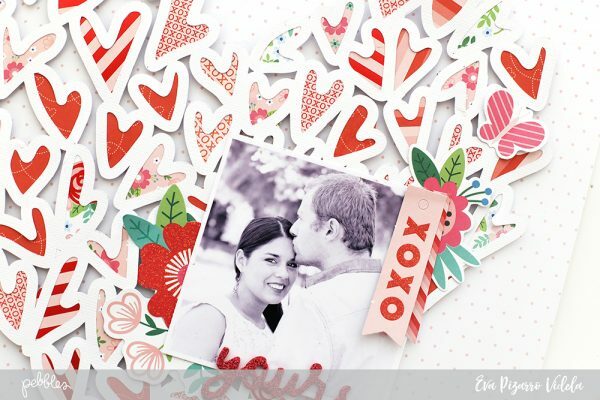 I started with this beautiful cut file from Paige Evans, the little hearts were perfect for this Valentine’s layout! 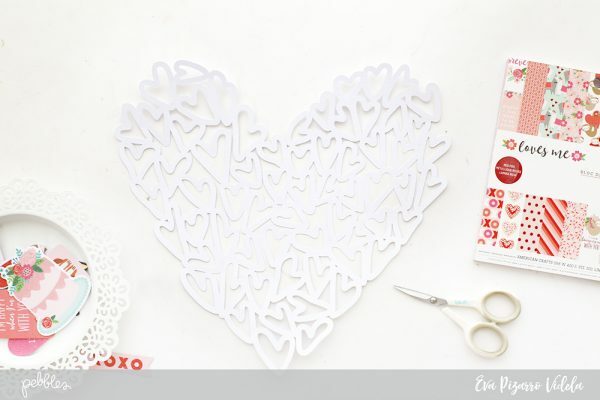 Next, I backed all the hearts with patterned paper. Make sure you place your photo first (I used some washi tape) so that you don’t work unnecessarily! 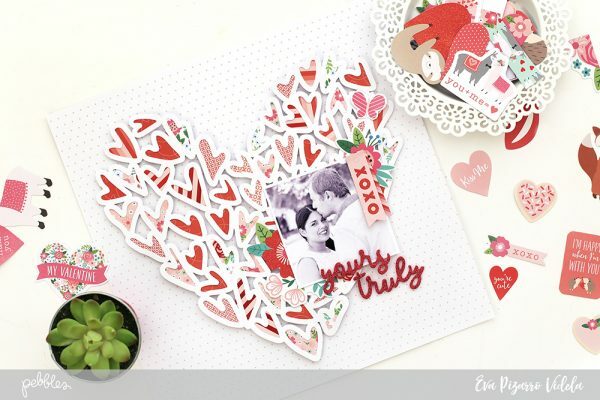 Once you have your heart ready, pick up some die cuts and letters to embellish your layout. The glittered Thickers are beautiful and they have the perfect size for all kind of projects! Because the background is already very busy you don’t need to add a lot of embellishments. I glued some flowers behind my picture and some banners. And here’s the final layout! You spend some time backing the die cut but the result is truly worth it! What do you think? 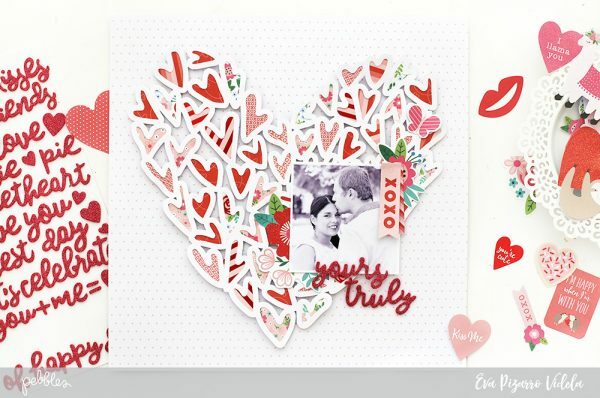 Do you use die cuts on your layouts?